Plantain ChipsI love chips! I used to love buying the Trader Joe’s plantain chips because they were so delicious and perfect to satisfy my chip craving. One day I decided to make my own and loved them even more! The most time consuming part of this recipe is cutting into the plantain. It’s a tough exterior, not at all like a banana. But once you cut it, you’re good to go. The only catch with these is they don’t stay good and crispy for a long time so make them and eat or serve them right away. 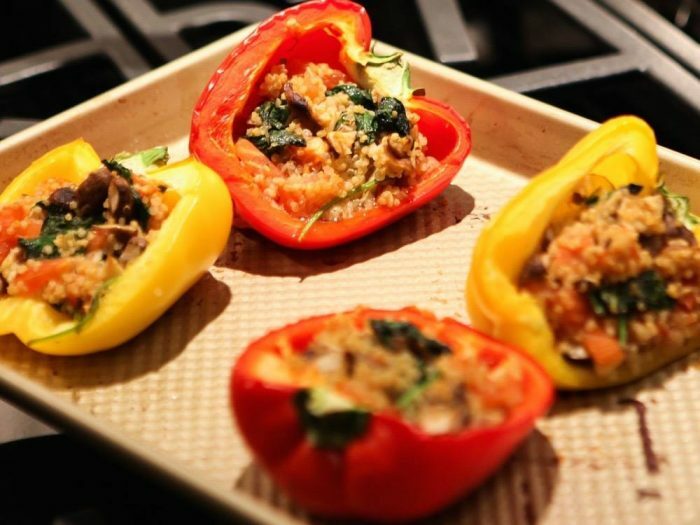 Quinoa Stuffed PeppersI only recently started loving peppers. They’re so easy to throw into stir-fry or to scoop out and fill with quinoa and other veggie goodness. I love this recipe not only because of the simplicity but also because it looks so pretty. 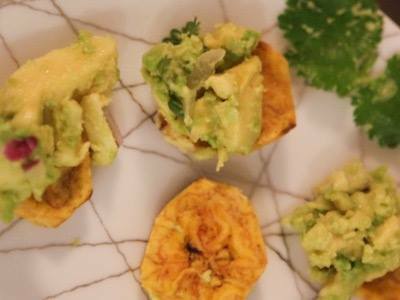 You will totally wow your guests if you make these at your next dinner party. 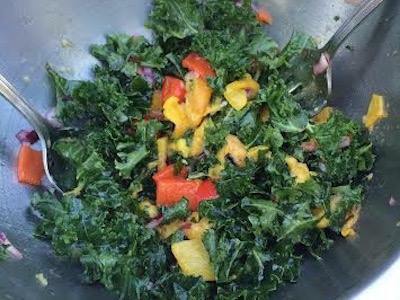 Summer Kale and Peach SaladThis salad screams summer! If you have access to a grill, throw the peaches on and enjoy the sweet tastes of summertime. I love the combo of peppers and peaches – so fresh! 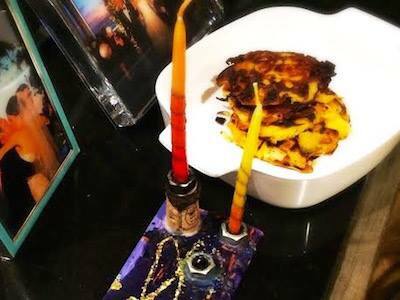 Sweet Potato LatkesIt must be Hanukkah, I have my pre-school menorah and sweet potato latkes! This recipe is such a crowd pleaser, I barely even needed apple sauce to dip the latkes in. 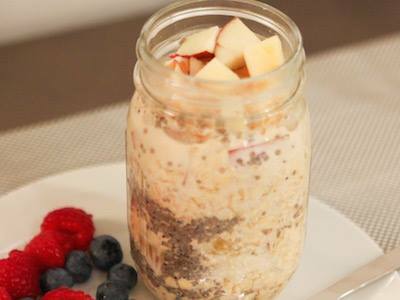 Even if Hanukkah isn’t your holiday, wow your next party with these healthy deliciousness! 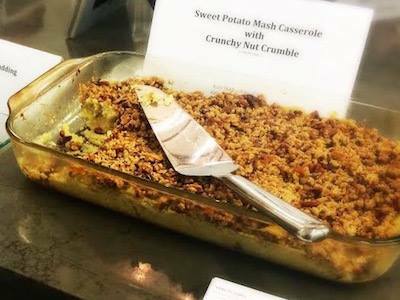 Sweet Potato Mash with Nut CrumbleThis dish is perfect for a holiday dinner! 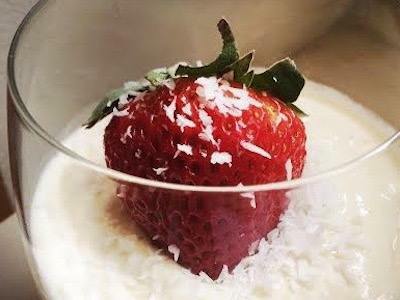 You will shock even the biggest health skeptics as this is indulgent but completely healthy and pure. I used white sweet potatoes but orange work the same. Happy Thanksgiving! 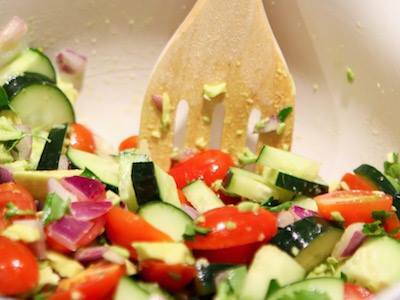 Tomato Avocado SaladThis salad reminds me of summer. It has so many flavors and yet, it’s super easy to make. I love to make this salad as a side dish and usually to compliment a fish (Chilean Sea Bass is my favorite combo with this). I will often make too much so I can have it for lunch the next day. Vegetable Egg QuicheI love how simple this recipe is both in prep, cooking time and taste. Cheese or hot sauce can spruce it up if needed but on its own it’s packed with flavor. 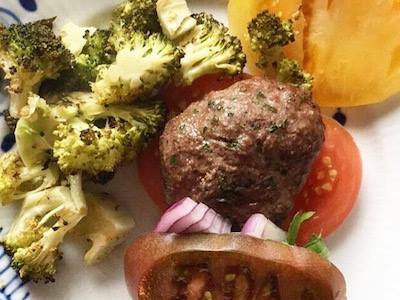 What’s great about this recipe is that you can change up the veggies so it’s never boring. 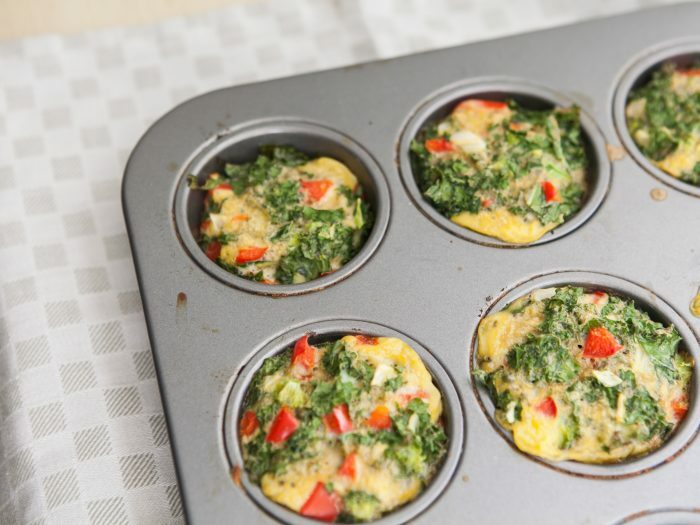 If I know I’ll be on the go, I’ll make mini’s the night before so I can grab something quickly for a protein filled breakfast. 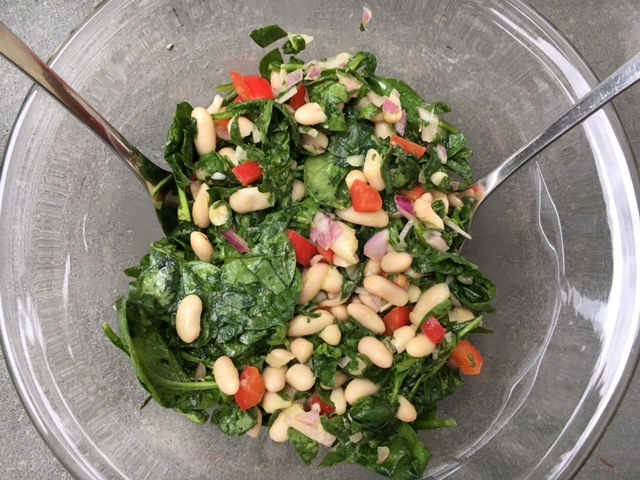 White Bean & Spinach SaladWhen heading to a BBQ earlier this summer, I needed a healthy and delicious salad to bring and this definitely hit the spot. It wasn’t too healthified that others couldn’t enjoy but didn’t have any sugar or junk in it for those trying to eat really clean. Beans are packed with protein so this filled me up and kept me away from snacking on too many chips!